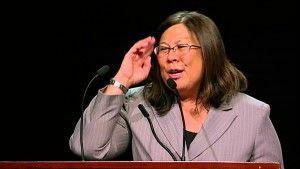 State Controller Betty Yee was fined $2,082 on Thursday by the state’s campaign ethics watchdog for violations during her 2014 run for office. The Fair Political Practices Commission found that in seven instances Yee’s state controller campaign did not file certain campaign finance disclosures in the time frame required by law — although the FPPC also found no evidence of intent to conceal. The late disclosures were periodic reports, totaling only $68,000. By contrast, the campaign in total raised more than $1.5 million in 2014. Earlier this month, The Sacramento Bee reported that Yee’s campaign treasurer, Jane Leiderman of Leiderman and Associates, took responsibility for the disclosure violations and agreed to pay the fine.